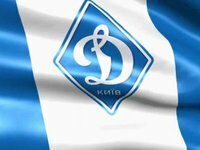 Dynamo Kyiv has failed to beat Kazakhstan's Astana at home in the first round of the group stage of the Europa League. The match at the Olympiysky National Sports Complex in Kyiv ended in a 2-2 draw. Dynamo midfielder Viktor Tsygankov scored the opener in the 11th minute, but Astana defender Marin Anicic equalized ten minutes later. Denys Garmash made it 2-1 in the added time after a mistake by the Astana goalkeeper. Roman Murtazayev snatched a draw for Astana in the last minute of the game. In another Group K match, France's Rennes beat the Czech Republic's Jablonec 2-1 at home.